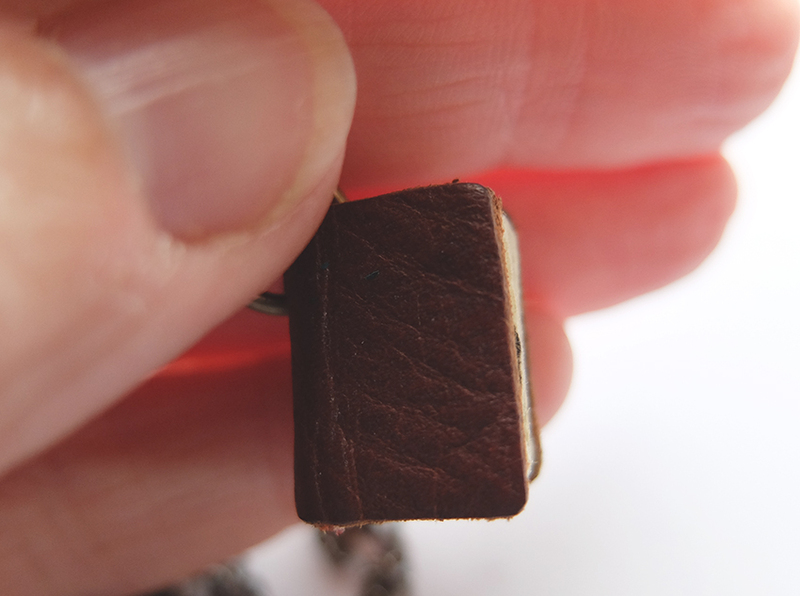 I’ve posted about my tiny necklace book before but now that it’s almost full with minute drawings by renowned illustrators I’ve decided to put a record of them all in one place, in case I should (shudder) ever lose it! So from front to back, here are all the images. Hover mouse over image for illustrator’s name. 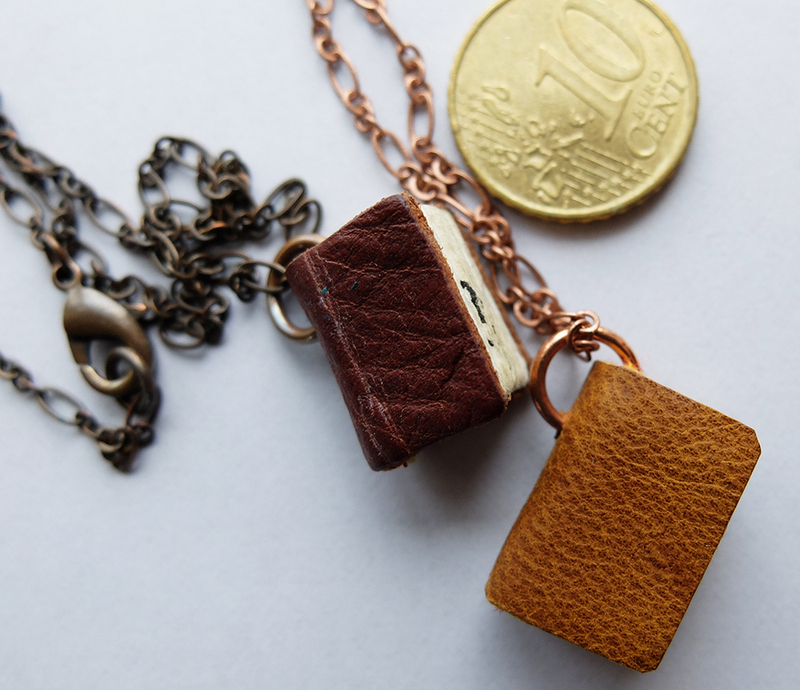 Now that my tiny book necklace is full, there was only one thing I could do – get another one! This entry was posted in Marie-Louise Fitzpatrick and tagged book necklace, children's book illustration, illustrators, Tiny book by The Belugas are Watching. Bookmark the permalink. That is special! Hmmm, I see some prejudice though: TWO by Michael Emberley and two my Ed Emberley! Where is it from? It’s so sweet, I love what you’ve done with it! Bookmakers’ name is on the last page, Michelle. They make the covers from old leather/recycled leather.